Includes: Magic Show / Comedy show, Inflatable Bouncy Castle, Target shooting, Blind football, Rope climbing, Many Kids adventure games. 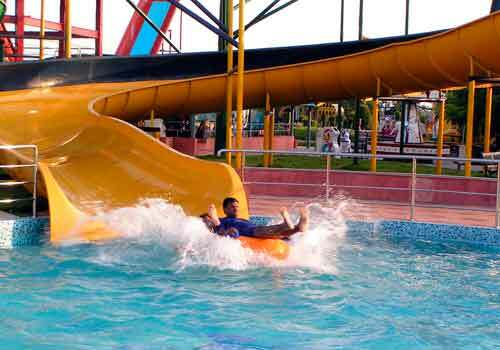 Also Wave pool, SPL DJ Rain Dance with bollywood dance trainer, Body Slide, Twister Slide, Mat ride, Single Tube ride, Double Tube ride, Pendulum, Ladies & Kids pool (with Slides and activity). Dry rides as per rates fixed for each ride. 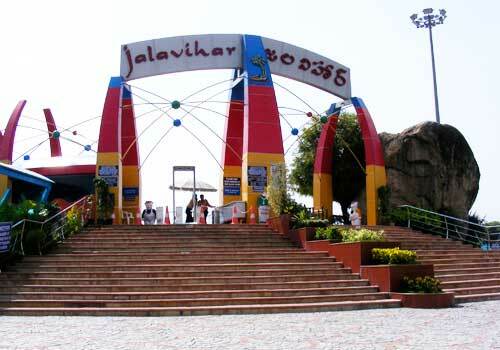 Jalavihar Hyderabad: A popular amusement park, Jalavihar Hyderabad is situated on the Necklace Road which is in the heart of twin cities-Hyderabad and Secunderabad. 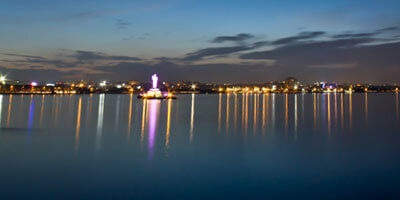 It is quite close to the IMAX multiplex and Sanjeevaiah Park which is also on the Necklace Road. 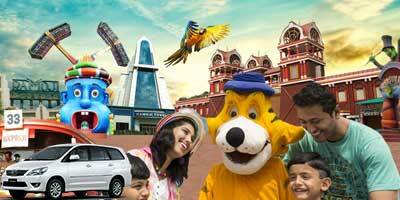 It is a family entertainment park with various interesting options for both adults and children. Summer Carnival at Jalavihar starts from Apr 6th 2019 and ends at June 9th 2019. 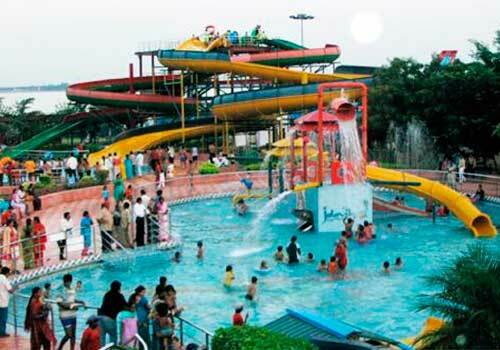 The entry fees of Jalavihar water park is Rs.400 per person Above 3 Feet Height, Rs.300 per person Below 3 Feet Height during summer carnival. 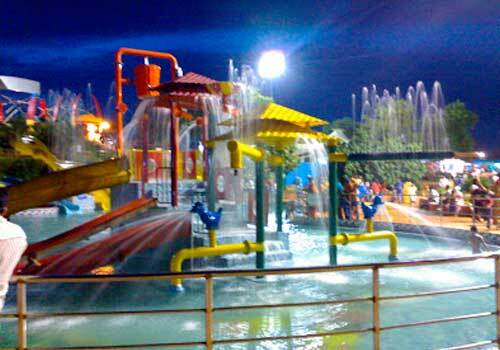 An entertaining place to be with family, Jalavihar Water Park in Hyderabad, presents innumerable number of rides to its guests. 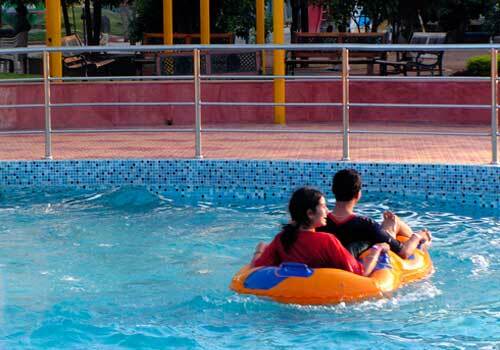 There are wide range of water games as well as dry rides which are offered here, catering to both adults and kids. 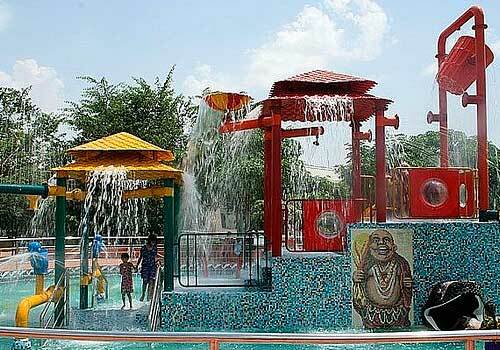 Games such as family slide, Mini aqua trailers, Tilt bucket, Mushroom Umbrella, Float slide and Pendulum are just a few of the choices that will keep you happy throughout your day at Jalavihar. If in a mood to just relax, you can spend your time at the wave pool. Rain Dance is another place to be if you want to try something different from the slides. Dancing to the chartbusters while water is sprayed on you from all the sides is liked by kids and adults alike. This is an apt place to visit with children. There are many rides, which are specially designed for kids. 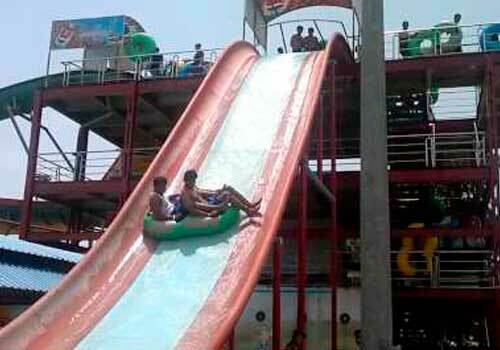 Not only water slides, Jalavihar has a variety of dry rides as well. Although visitors have to pay extra fee for each of the dry rides, trying one or two of the rides is worth the money. Some more exciting options that will find here are Mini Coarsely, Mini train, Super-Jet, Battery cars, Mini rainbow wheel, Mini joker, Battery bikes, Air hockey, Water shooter, Basketball, Bungee Trampoline and many more. For video game’s lovers there is facility of that as well. For safety, park has trained safeguards as well. For lunch and light snacks visitors can go to the food court and enjoy various delicacies served at the restaurants. Jalavihar also offers the facility of Party Zone which is perfect for hosting all kinds of function varying from family gathering to birthday parties to corporate parties. There is an amphitheatre with open lawns which has the capacity to accommodate almost 2000 people while the Aesthetic Vedhika can accommodate close to 300 people. Located right in the middle of the city, it enjoys a good location which is easily accessible by autos and buses - one of the key reasons why it is a perfect weekend choice for not just families but also for group of friends. 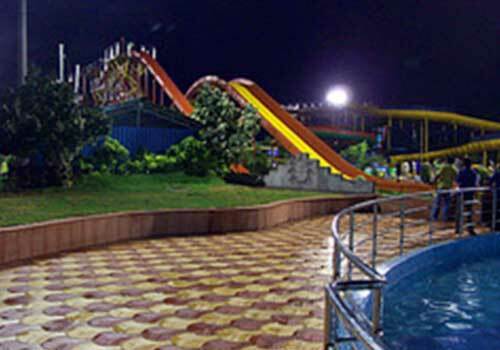 Visitors can not only enjoy the games and rides here at Jalvihar but at the same time relax at the famous Hussain Sagar Lake or marvel at the captivating sunset by the lake side. Jalavihar timings are also quite convenient; adding to it is the Jalavihar entry fee which is quite affordable for everyone. 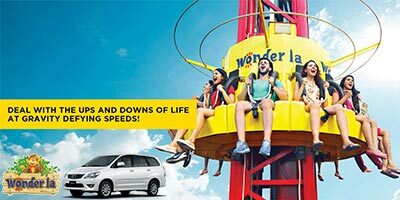 Hence, without worrying about going out of the budget you can plan your day for a fun and entertaining outing at the water park. Can Costumes, lockers be rented? Costumes and Lockers can be Rented. Costumes Rent: INR 30, Deposit: INR 100. Locker Rent: INR 20 for every two Hours Deposit: INR 100. The Management makes all efforts to keep the rides live, there may be a ride non-operational due to maintenance. Jalavihar operate from 9am to 9pm, You can call them during those hours and they will be happy to help you. Do Jalavihar allow smoking or alcoholic beverages? Does Jalavihar have changing facilities? Lockers are available on Rent (Rent: INR 20 for every 2 hours, Deposit INR 100). 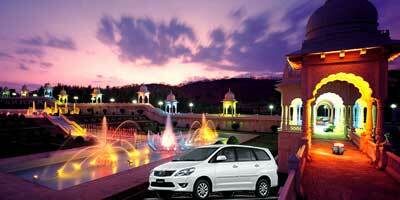 Valuables will be user’s responsibility, guests are advised to travel valuable free or with minimum valuables. jal vihar opening time is 11 am and closing time is 7 pm. So, we went there after having our breakfast and reached there by 12 pm. It was not very sunny on that day so we could play outside throughout the afternoon. Both dry and water rides are fun. But we spent almost entire day in water! when we were tired with other water slides, we just relaxed at the wave pool! We rented water costumes from there itself. They give you lockers to keep your belongings. It was good weekend break...different from the things we always do! I went with cousins to the water park. it is quite near to our place so we reached easily. We knew jalvihar timings and entry fee so went at exact 11 when it opens! As the jalavihar entry fee itself is Rs.350/- for adults we didn’t expect that they will charge extra for dry rides. The entrance ticket includes ONLY water rides! this was like making money by fooling customers! water slides are good and there are many choices too. the food court is fine too but dry rides cost disappointed us. My experience to jal vihar was not good. Knowing that jalavihar hyderabad ticket price is only 300 rs we went there without much research. But after going there I felt even my 300rs was wasted! slides are fine, we tried a few water slides. But i didn’t enjoy it much. The food court is not as we expected. They don’t have any variety just basic south Indian and Chinese items. They charge also more for the food items but don’t offer the right kind of facilities. If you are going..just for some water slides and by afternoon for lunch! 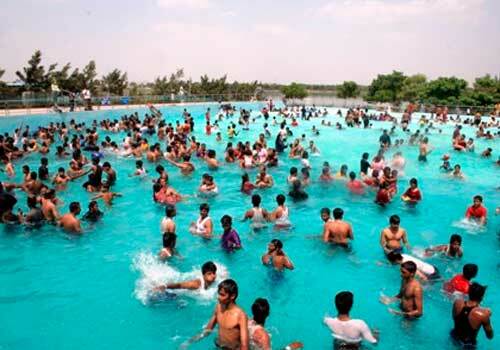 I went Jalavihar waterpark in Hyderabad with my colleagues. We wanted to something different for team outing so all decided to go as it is quite cheap with and in the middle of the city. jalavihar entry ticket costs only 300 rs for all the water slides and seems to be open all the week round with no holidays. Unfortunately the place is not worth 300 also! I do not know how some other guys said it worth! We actually thought we had good time there as slides are quite fun to do. we all did rain dance too. But some of us got skin allergies after coming back. 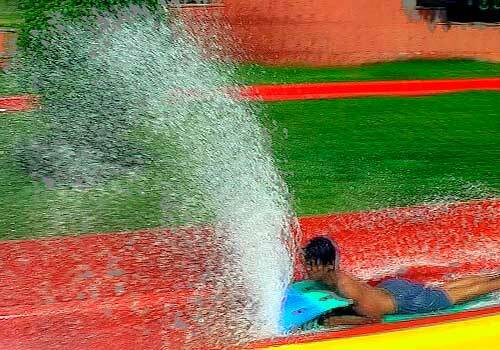 water and the slides are not cleaned properly...infact the entire place is dirty..they should may be hire some more staff! I got ear infection after I came back from there! Good food and cleanliness you will miss here at jalavihar Hyderabad! They have put good water slides...even dry slides are good for which they charge extra...for each dry slide! Jalavihar hyderabad ticket price is not much so I didn’t mind paying extra for dry rides...would have gone again only if it was clean. At food court they charge quite a lot for every dish and to top it the staff that is very unprofessional. They clearly lack basic manners of serving the customers! 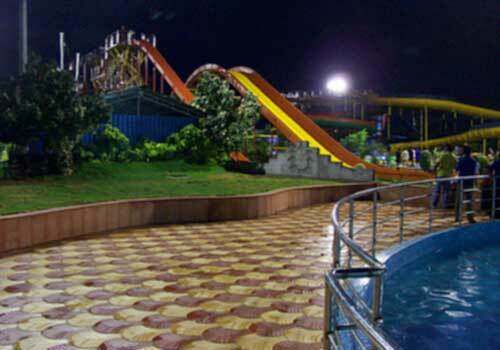 It has many interesting water slides, and the best part of this waterpark is that it is next to hussain sagar...it is right on the necklace road. Water games are quite interesting. jalavihar entry ticket cost is lesser for kids. 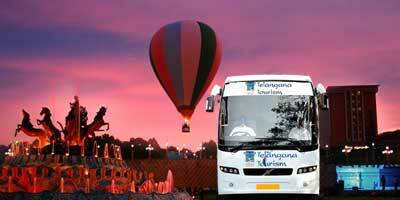 We paid 350 each for mine and my husband ticket and for kids we paid 250 rs. We hired costumes there itself and played almost entire day! They have separate area for kids so was almost safe. In evening after light snacking at the food court we tried some of the dry rides. They will charge extra for each of the rides. there is fixed rate for each ride. It is good to go for a family outing.